UPDATED: Fri., July 14, 2017, 8:02 p.m. The official spoke on the condition of anonymity to describe climate negotiations at the just-concluded summit of Group of 20 leaders in Germany. A U.S. commitment to “work closely with other countries to help them access and use fossil fuels more cleanly and efficiently” was highlighted in a statement issued by the group last week. Trump has made clear the U.S. won’t be sending any more checks to the fund as long as he is president, but the U.S. gets to keep a seat on the managing board for a year or more based on that previous $1 billion contribution. The board, which includes a U.S. official and 23 other members with veto power, has so far approved more than three dozen projects – including modernizing a hydropower project in Tajikistan and barriers around an island in the South Pacific. 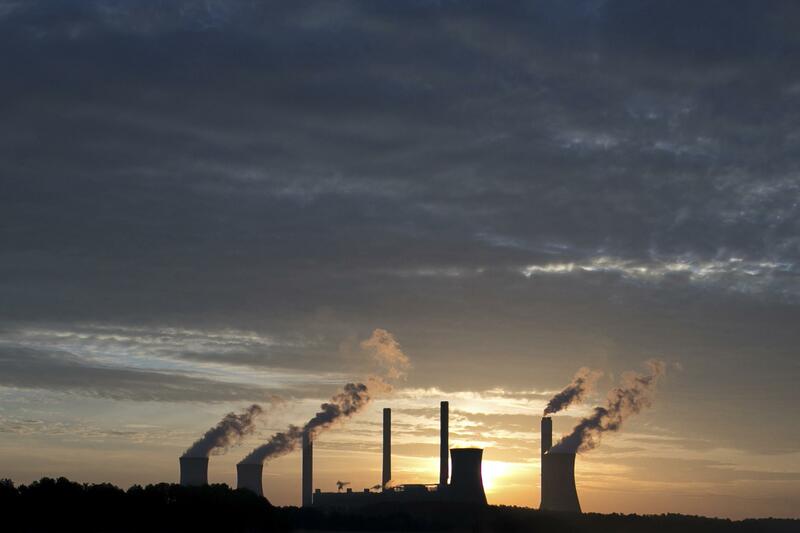 The U.S. wants to encourage developing countries to build high-efficiency plants that produce fewer greenhouse gas emissions than earlier facilities and construct “clean coal” plants that employ carbon-capture technology to strip out even more, the White House official said. Activists said the Trump administration’s objective runs counter to the fund’s entire mission. “The U.S. under Trump might want the Green Climate Fund to fund climate change, but there are other countries that actually take the climate crisis seriously, and they’re not going to let the Green Climate Fund be used for Trump’s climate-denying, justice-denying agenda,” Orenstein said. The U.S. advocacy is in line with Trump’s stated goal of American “energy dominance,” with U.S. coal, oil and gas helping to supply the world’s power needs. “We will export American energy all over the world, all around the globe,” Trump said at an Energy Department speech last month. Discussions over a bottle of red wine during the Hamburg meeting helped produce consensus language in the summit’s final communique, after France raised objections, the White House official said. French officials wanted to remove the entire fossil fuel sentence. The U.S. in turn argued it couldn’t weaken that sentence unless another was strengthened. After that meeting, reports cast the communique as evidence of a 19-1 split among world leaders, with the U.S. and Trump isolated on the world stage. But that division was only valid for specific language on the Paris agreement and doesn’t represent consensus on the overall climate language in the document, the White House official said. The statement shows the sincerity of U.S. engagement and the administration’s intent to work with partners and allies in trying to find a way forward on an approach to climate change, the official said. Despite Trump’s stated willingness to rewrite the Paris climate deal or another agreement addressing the problem, the U.S. isn’t actively asking other countries to negotiate or offering up alternative language. The administration also needs to figure out potential pathways to make the Paris agreement acceptable, the official said. Trump already announced his plan to shift U.S. policy to make it easier for the World Bank and other multilateral development banks to finance coal plants in developing nations. Under Obama, restrictions were put in place to block that financing. Published: July 14, 2017, 1:29 p.m. Updated: July 14, 2017, 8:02 p.m.